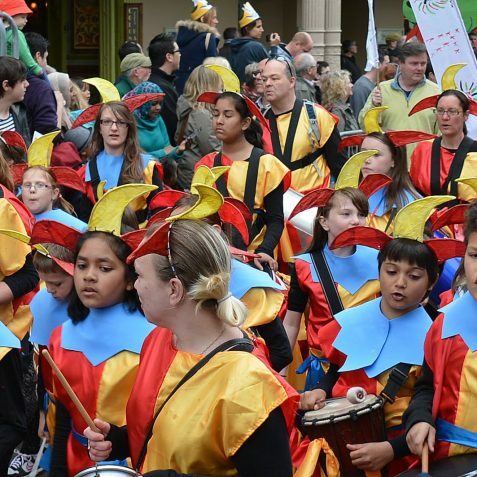 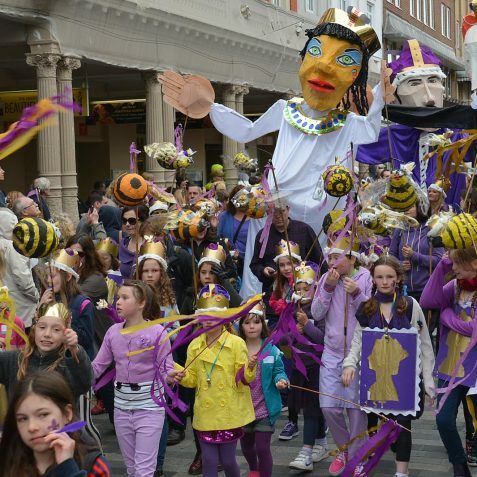 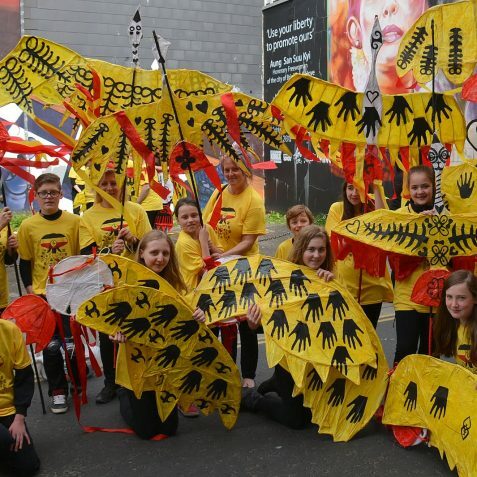 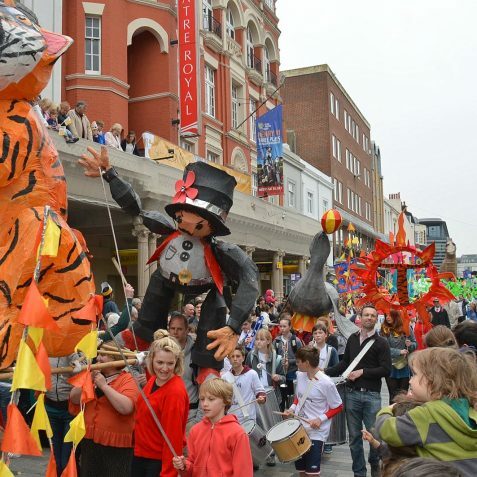 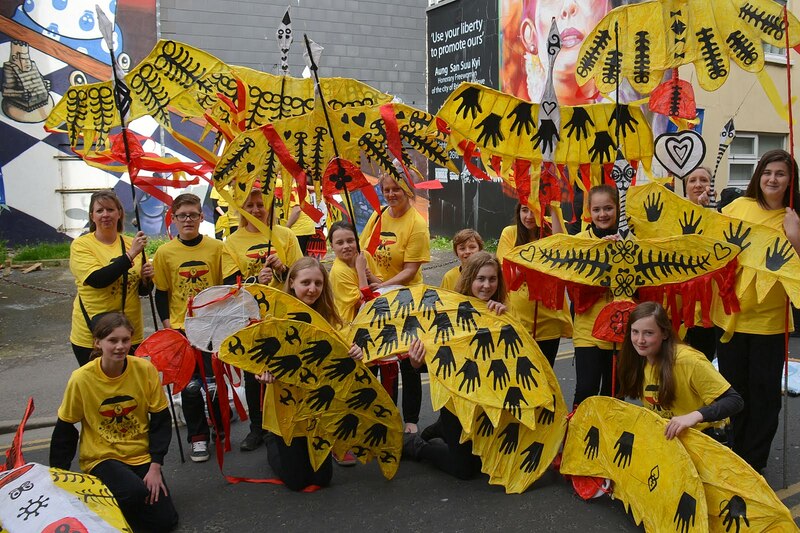 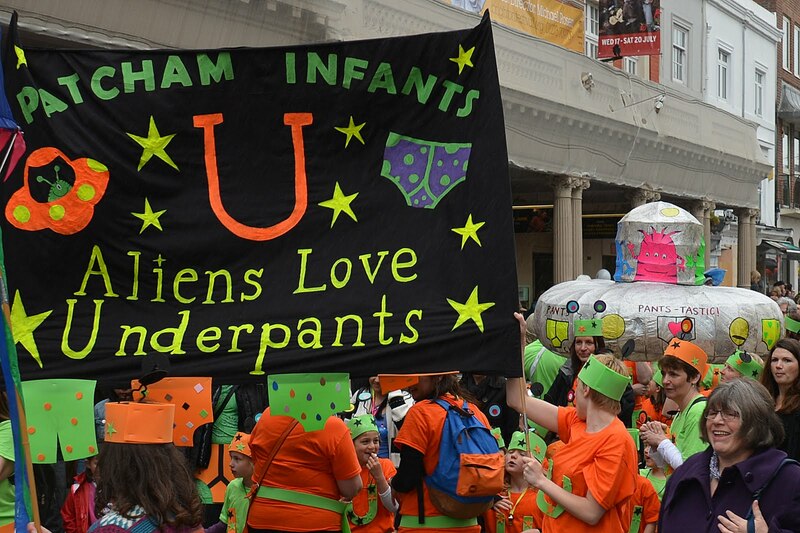 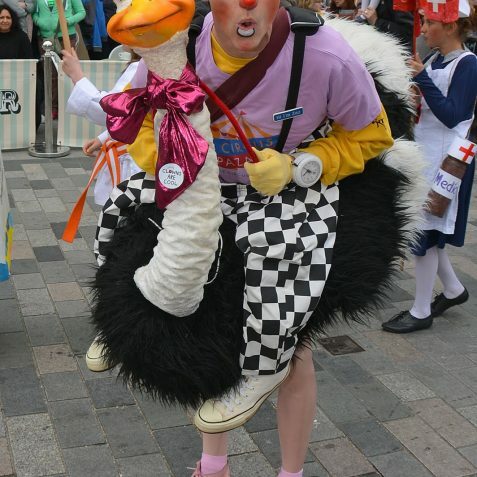 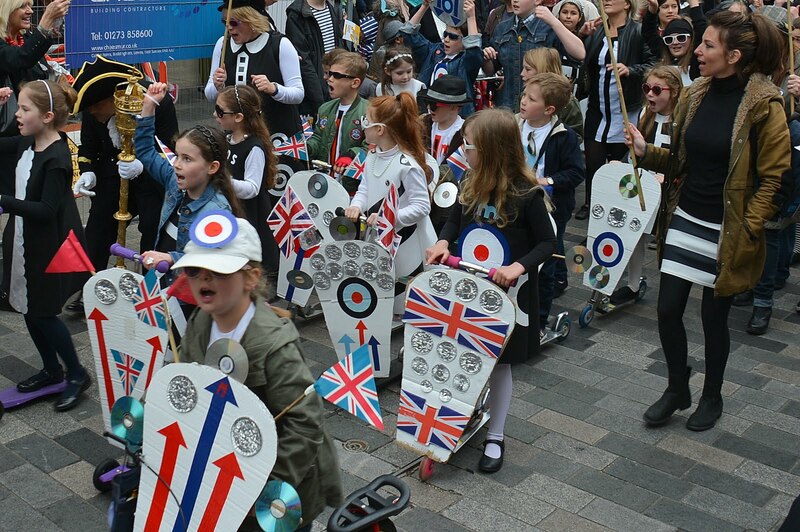 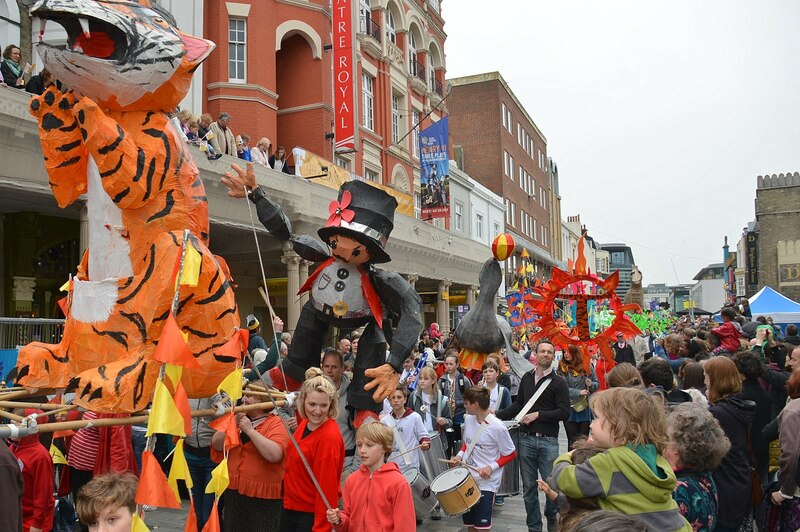 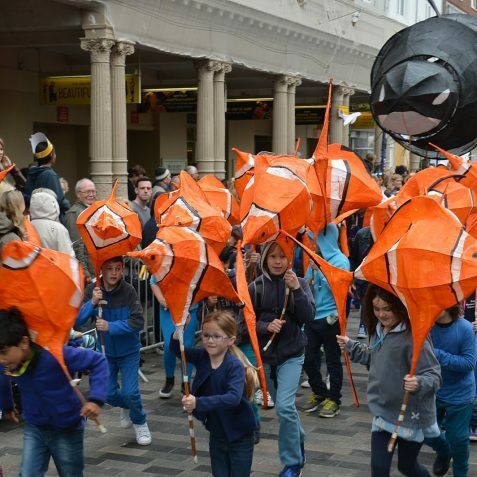 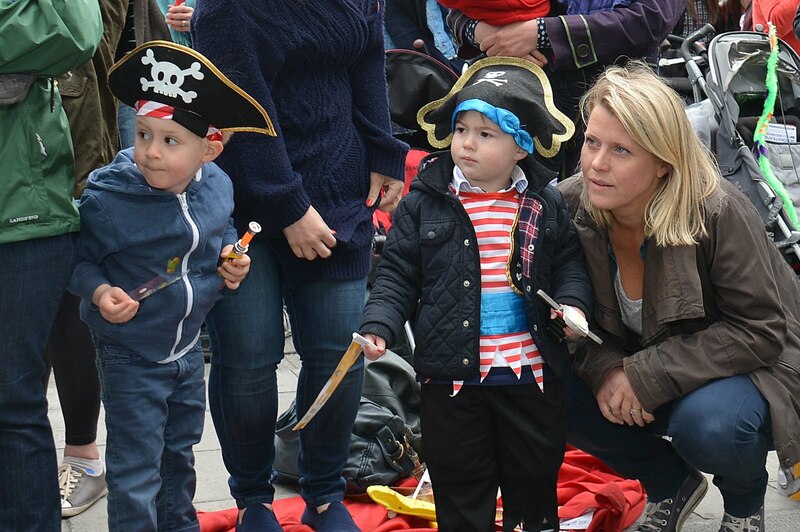 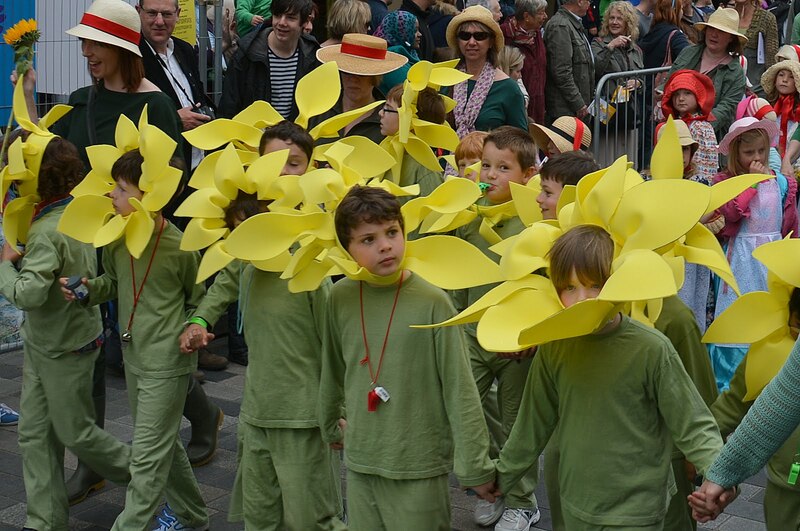 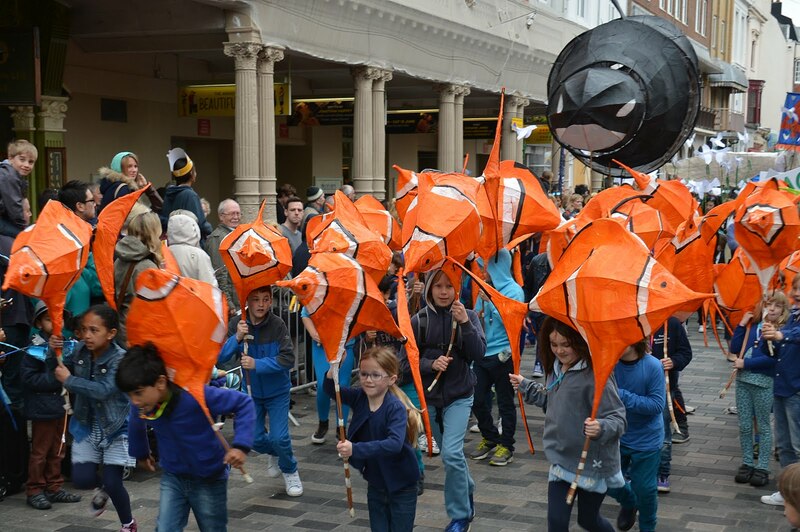 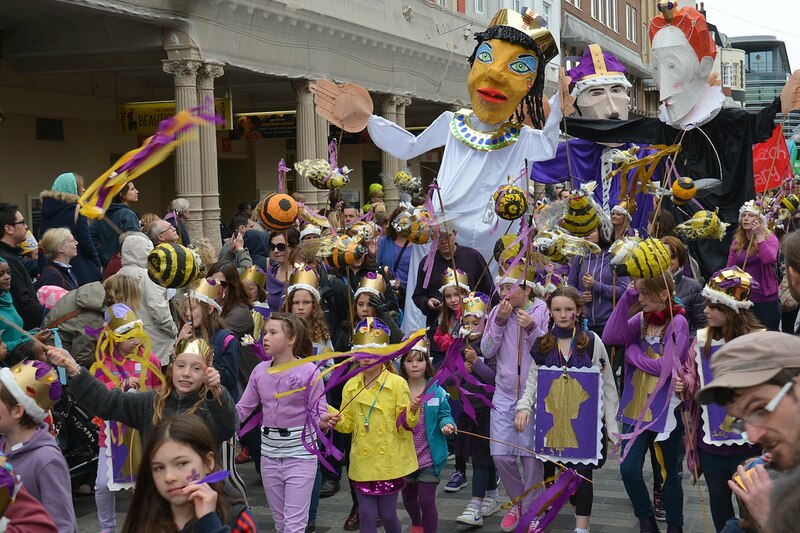 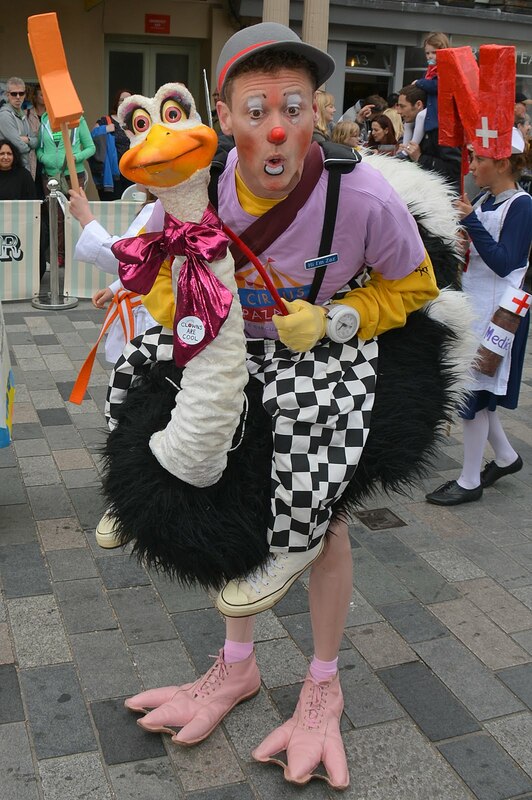 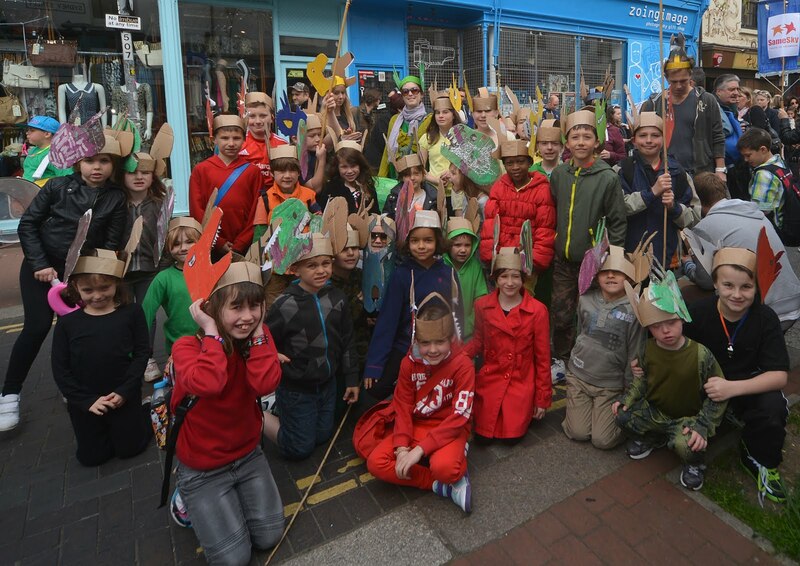 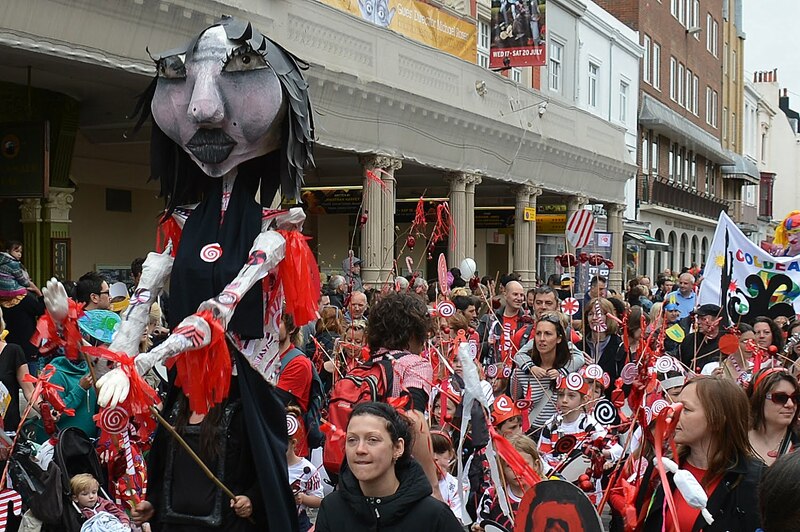 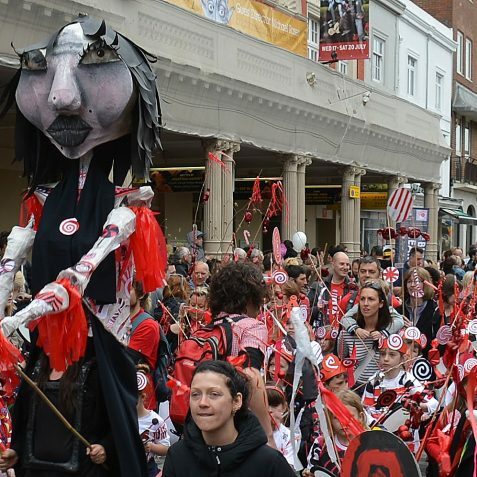 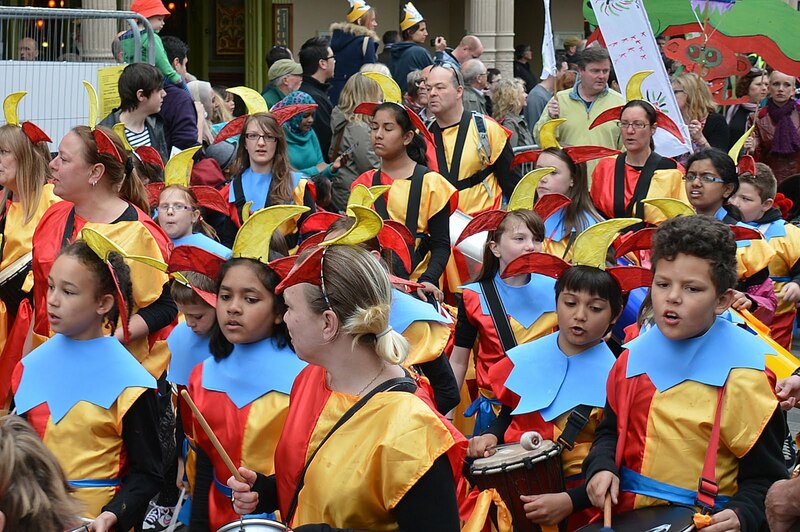 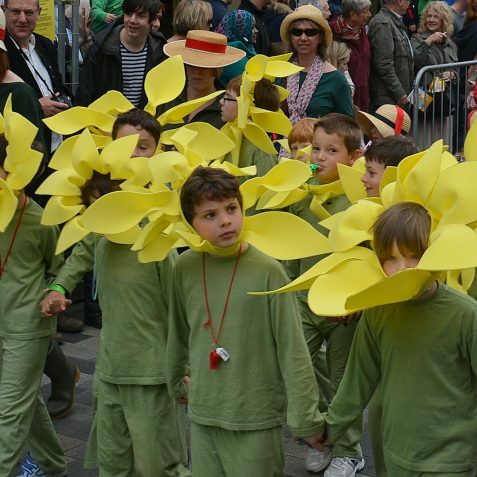 The Children’s Parade is the traditional opening event of the Brighton Festival. 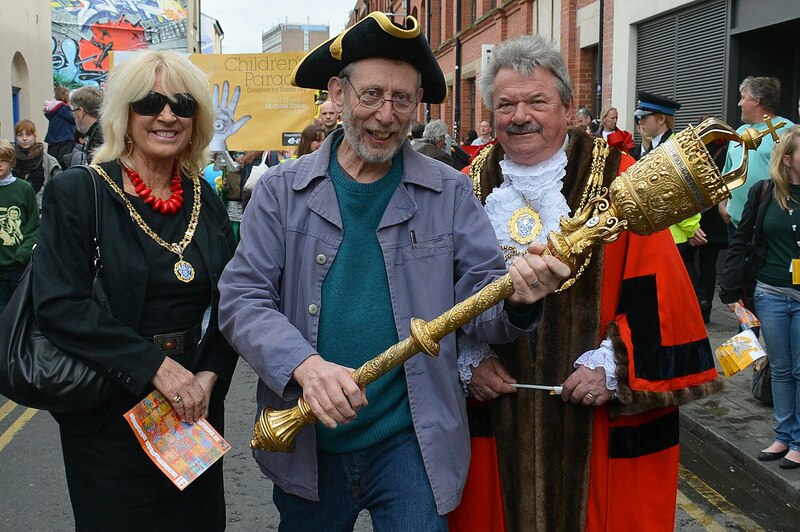 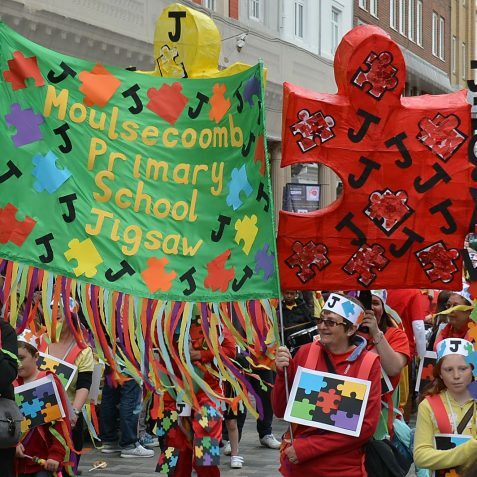 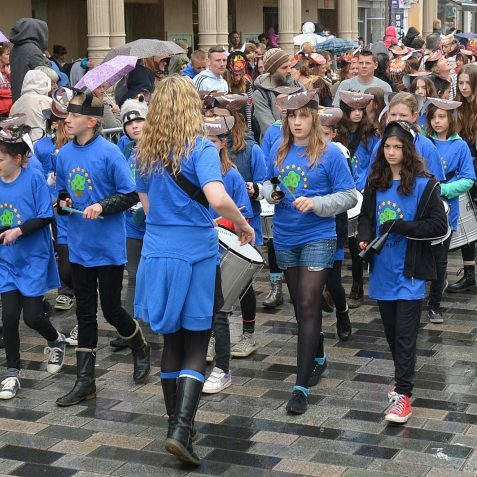 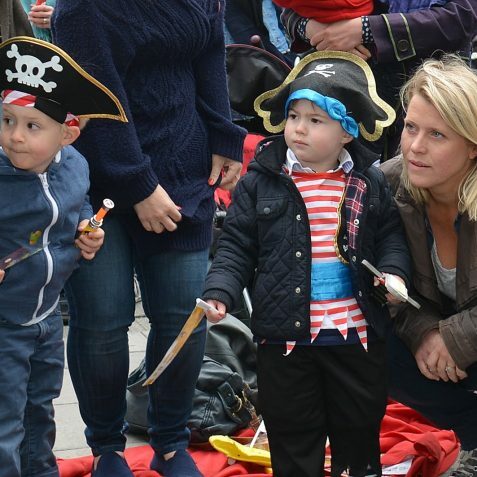 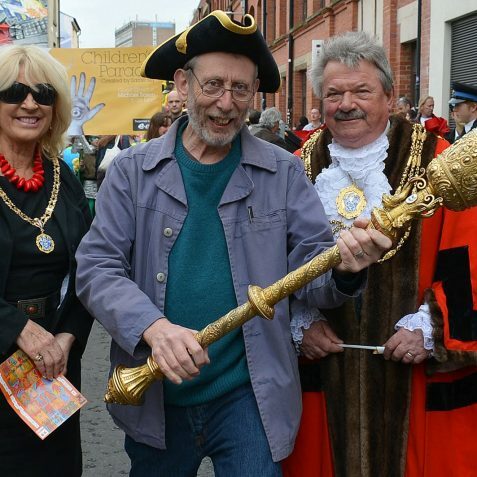 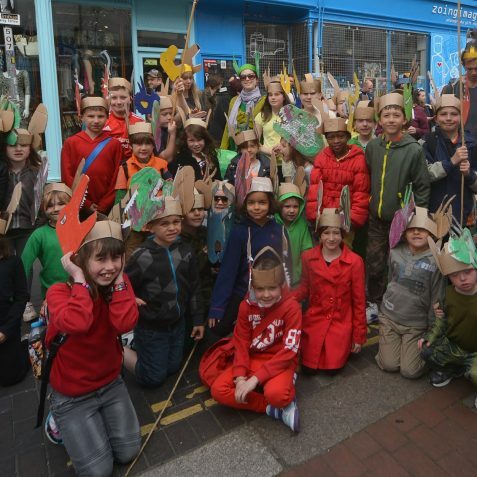 This year the parade was led by the 2013 Guest Director, children’s author Michael Rosen and the Mayor and Mayoress of Brighton and Hove, Councillor and Mrs Bill Randall. 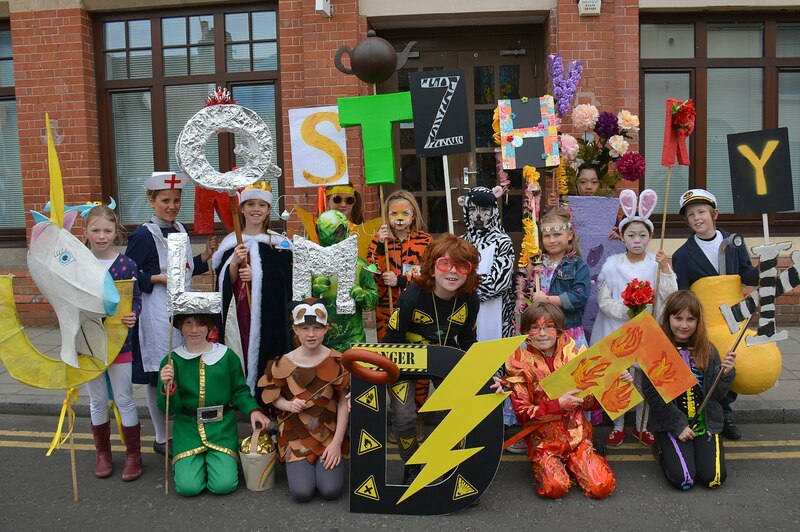 This year’s theme was the alphabet, chosen by Rosen to reflect his love of language. 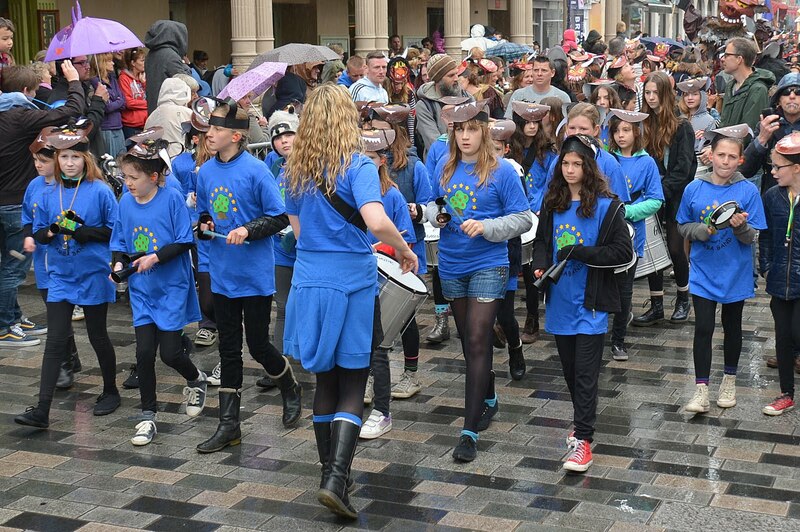 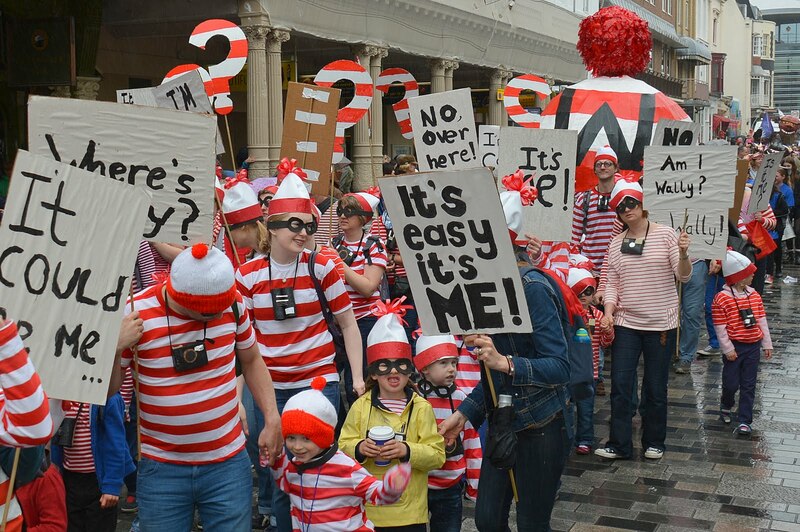 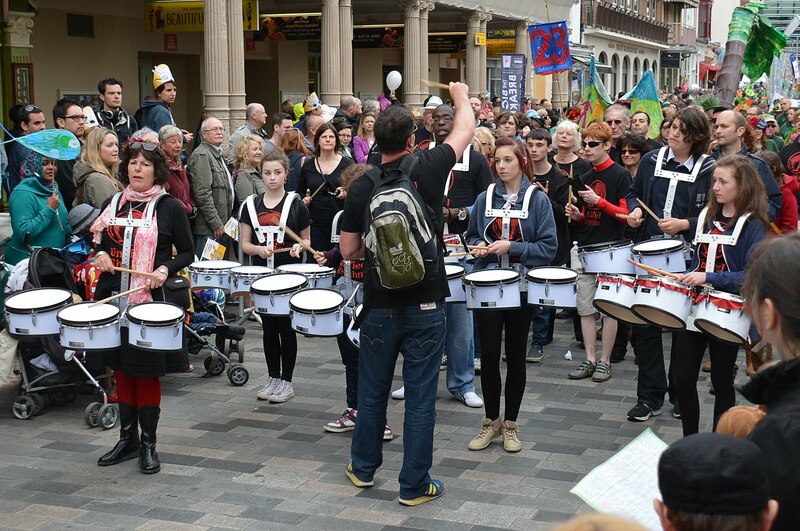 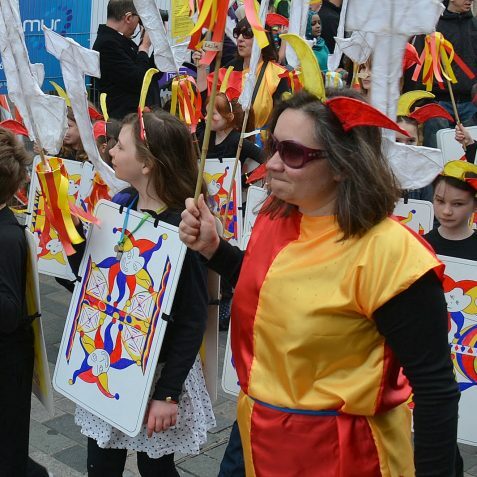 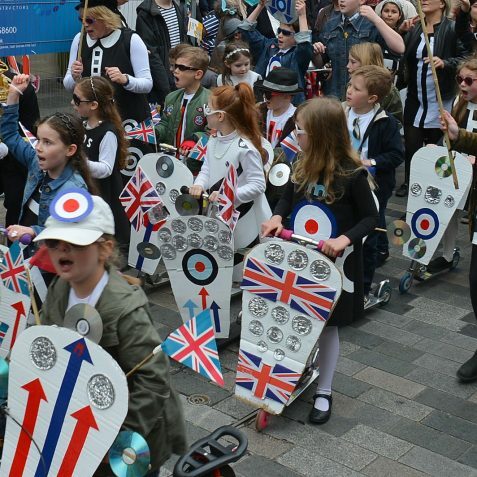 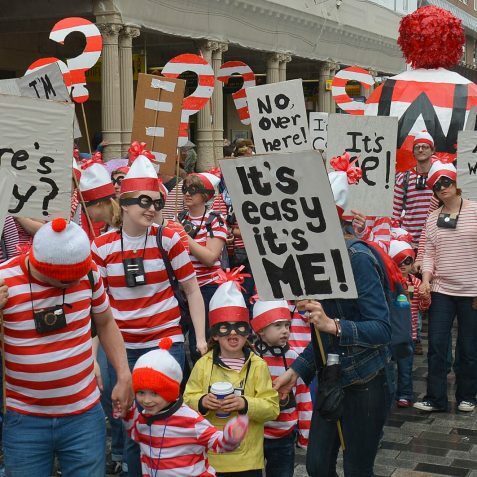 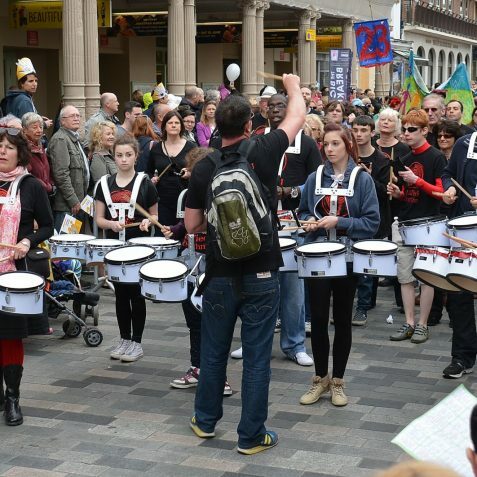 Many thousands of children, parents and teachers took to the streets on Saturday, undeterred by the inclement weather. 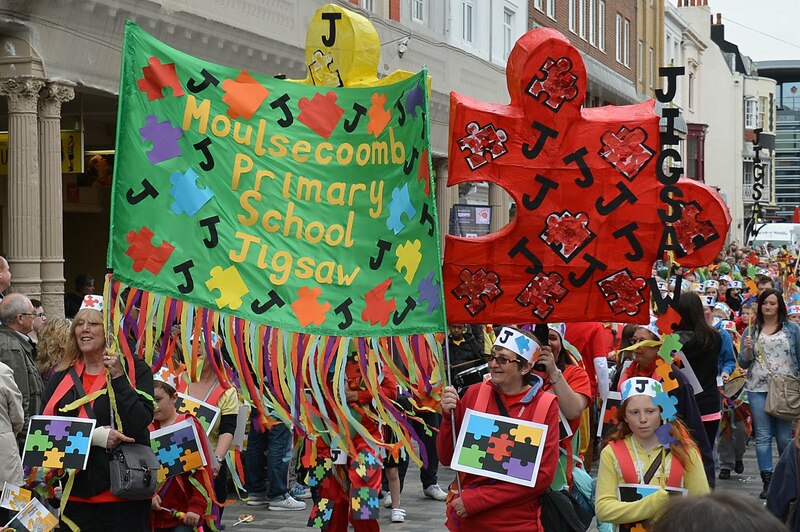 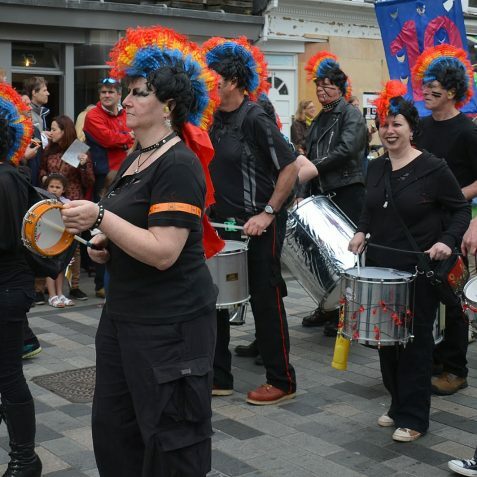 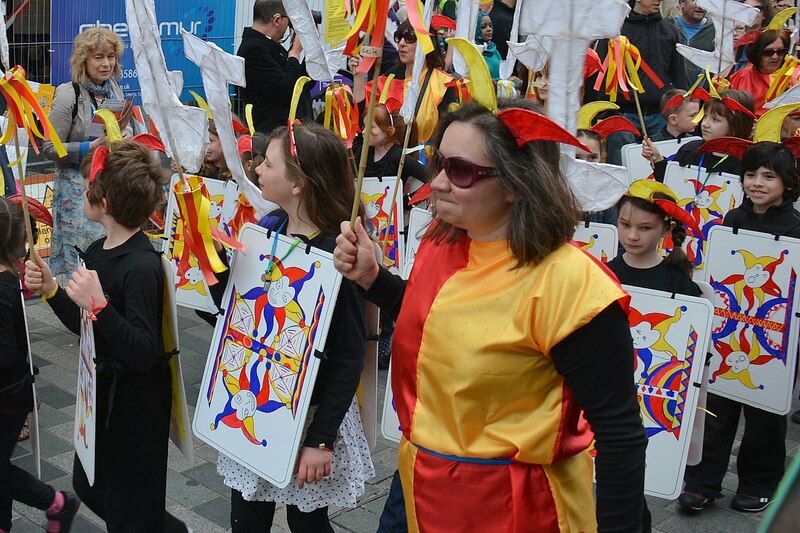 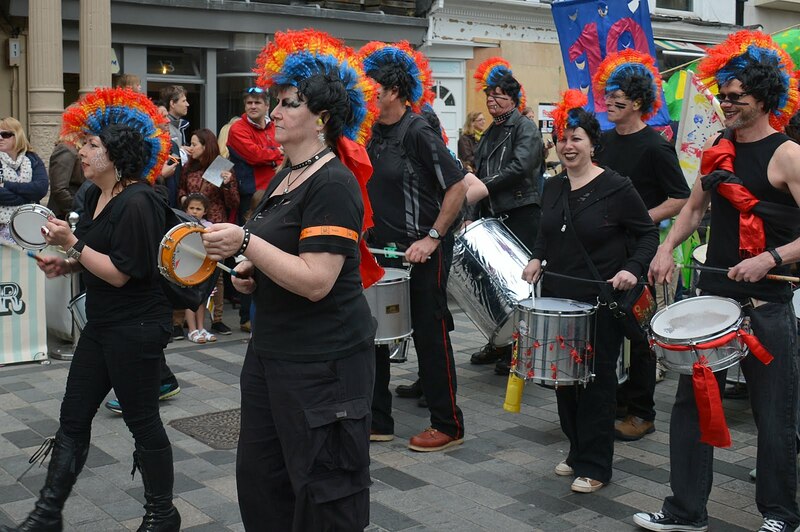 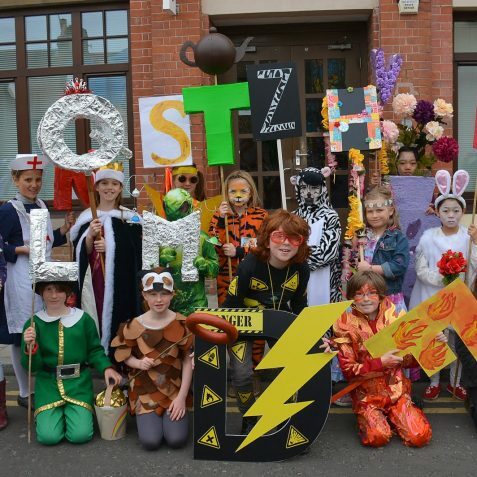 The Children’s Parade is organised by the community group Same Sky, who worked tirelessly for many months leading up to the parade in order to help produce the wonderfully colourful costumes.